Fiber cable connectors are designed to provide perfect alignment of the microscopic glass fibers that were used in fiber cables to transmit data. These kinds of connections must be highly accurate in order to facilitate high speed fiber optic networks. This article helps to review some common fiber cable connector types available on the market today. What Is Fiber Cable Connector? 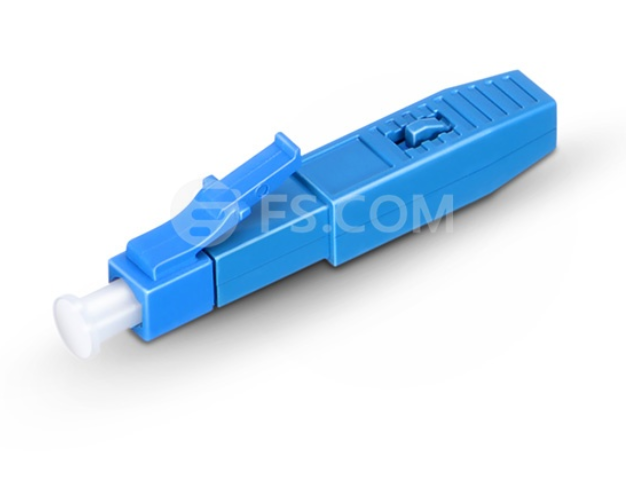 Fiber cable connector, also named fiber optic connector or optical fiber connector, is a hardware installed on fiber cable ends. 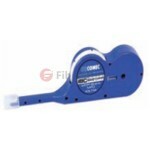 It provides cable attachment to a transmitter, receiver or other cable. 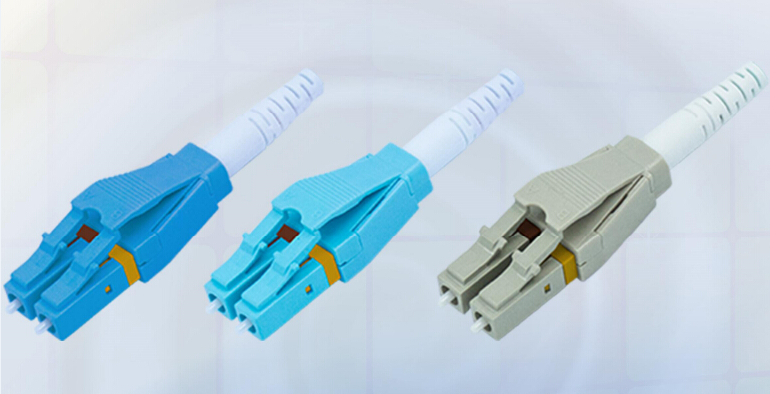 There are various fiber cable connectors, for which different connectors have different characteristics and functions. According to statistics, about 100 different types of fiber cable connectors have been introduced to the market. 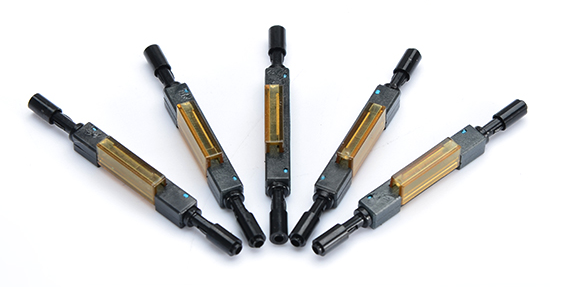 The most popular used ones are ST, SC, FC and LC style connectors, which vary differently from characteristics, applications and performances. But all the connectors have three major components: the ferrule, the connector body, and the coupling mechanism. Among those, the ferrule is used for protecting and aligning the stripped fiber end. 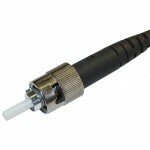 The connector body holds the ferrule and attaches to the jacket and strengthens fiber cable. The coupling mechanism is a part of the connector body that keeps the connector in place when connected to other devices. ST connector was developed by AT&T. It’s a high-performance fiber optic connector with cylindrical ceramic ferrules and bayonet locking features. Most ferrules are ceramic, but some are metal or plastic. 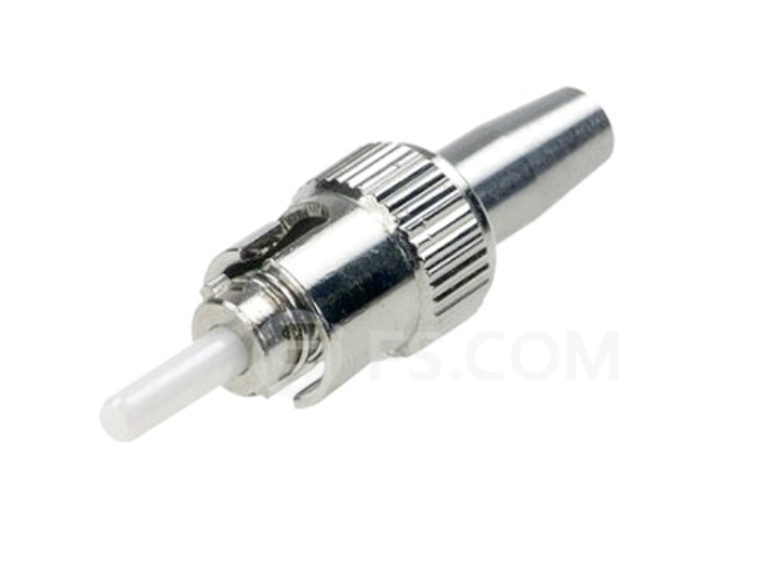 ST connector is constructed with a metal housing and is nickel-plated, can be inserted into and removed from a fiber optic cable both quickly and easily. It’s commonly used in network environments such as campuses, corporate networks, industrial and military applications. 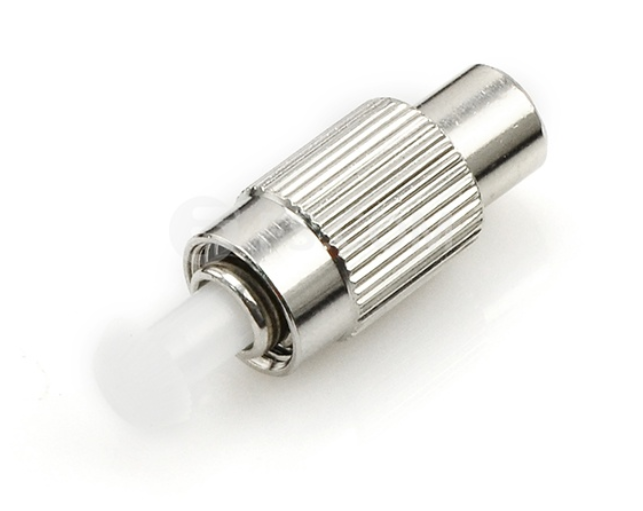 SC connector is a snap-in connector with a round 2.5mm ferrule used to hold a single mode fiber (SMF). It sometimes refers to “square connector” because of its “square shaped” connector body. It’s intended for Gigabit Ethernet networking with features of low price and excellent performance. SC connector is ideal for data communication and telecommunications applications, and still popular over the years. 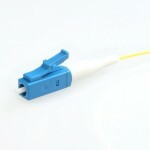 FC Connector is the first optical fiber connector to use a certain ferrule. It utilizes a round screw-type fitment made from nickel-plated or stainless steel. The end face relies on an alignment key for correct insertion and is then tightened into the adaptor/jack using a threaded collet. It’s commonly used in data communication, telecommunications, measurement equipment, and single-mode lasers. SC and LC connector deliver similar performance to FC connector but both of them have less expensive components, thus FC connector with screw-on collet performs effectively in high-vibration environments. 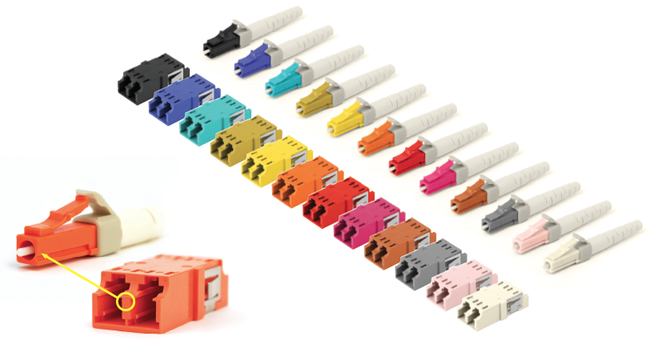 LC connector is featured with a ferrule of 1.25mm, which makes it perfect for high density cabling. It’s available in simplex and duplex versions. It has half the footprint of the SC connector, thus it becomes the most popular connector in data communication and other high-density patch applications. 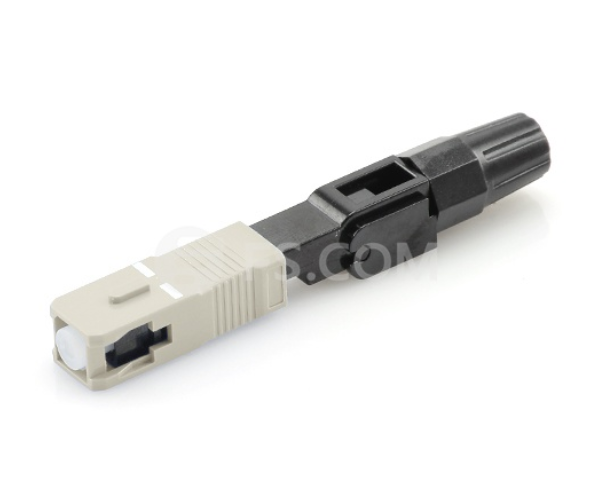 LC connector is ubiquitous nowadays, especially for connections with SFP and SFP+ fiber transceivers. There are about 100 fiber cable connectors introducing to the market, but only a few represent the majority of the market. Here is a brief review on fiber cable connectors that have been the leaders of the industry. 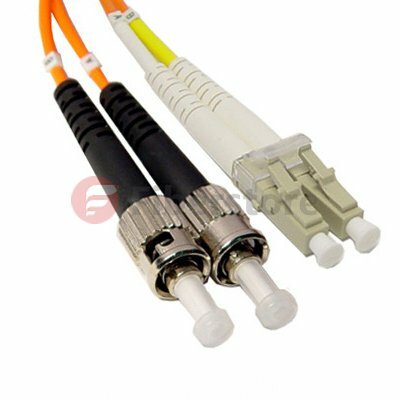 If you’d like more information on different fiber cable connectors, FS.COM has a complete fiber cable connector guide for you. Fiber Optic Cable Core-How Much Do You Know About It? This entry was posted in Fiber Optic Connectors and tagged fiber cable connectors, fiber optic connectors on November 2, 2018 by Admin. Sometimes fiber termination in the field needs to be finished quickly and effectively. Then how to achieve the perfect termination result we want? Today this article will introduce a new type of connector—field installable connector which enables users to get the ideal solution for their field installations. Hope it can help you. 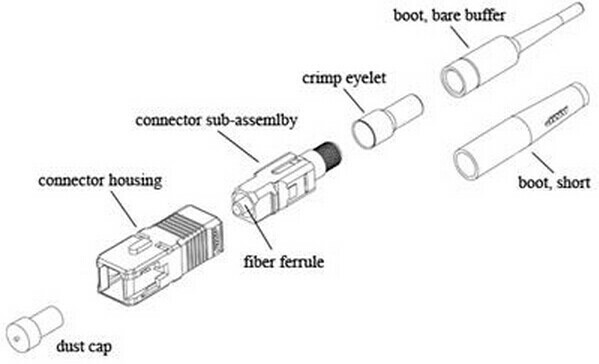 Generally, the connectors we know comprise fiber ferrule, connector sub-assembly body, connector housing and fiber cable. Except for those, field installable connector is a little different. It is a kind of connector that is pre-polished in factory, which aims to offer users a fast, easy and reliable termination way. And if field installation connectors deployed in cable installation, the termination time will be less than two minutes without any difficulty and require no epoxy, polishing or crimping. That’s why field installable connectors are so popular. As we all know, the most critical point in any optical interconnect is the physical contact interface between mated connector pairs. When fiber optic connectors are polished, a small lens, of which shape impacts the light transmission, is produced at the tip of the connector. Therefore, compared with common connectors, pre-polished field termination connectors provide more reliable, lower insertion loss and less return loss connection performance. Field installable connectors have different types according to different standards. For example, according to the connector types, there are LC, SC and FC connectors. While according to the connection type of the fiber and the stub, field installable connector can be divided into mechanical field installable connector and fusion splice-on field installable connector. Here is a brief introduction to them. The mechanical connector is a product that evolved primarily out of the enterprise space, and offers a simpler and cleaner alternative to the epoxy-and-polish connectors which preceded it. As its name implies, mechanical field installable connector uses a mechanical method to align a cleaved fiber with the pre-polished stub and then use a cam, wedge, or crimp mechanism to secure the fibers together. In essence, it is a connector end-face and a mechanical splice in one package and within a few millimeters distance of one another. And this kind of field installable connector can be used for both indoor and outdoor applications. A fusion splice-on field installable connector utilizes a fusion splicer to joint a fiber stub inside the connector with a fiber cable permanently. The splicing is protected within the boot of the connector, replacing the need for traditional pigtails because the splice is contained within the connector. The connector can be directly terminated using the patch panel’s existing cable management features. Compared to mechanical field installable connector, fusion splice-on connector has more advantages such as more flexibility, higher reliability, lower insertion loss and higher return loss. In the last paragraph, we have mentioned that field installable connector can help users install cables in a quick way. However, it has other advantages. Here are the comprehensive benefits that field installable connectors can provide. As we have mentioned above, field installable connectors can simplify the termination process, which greatly reduces the installation time and set-up time. 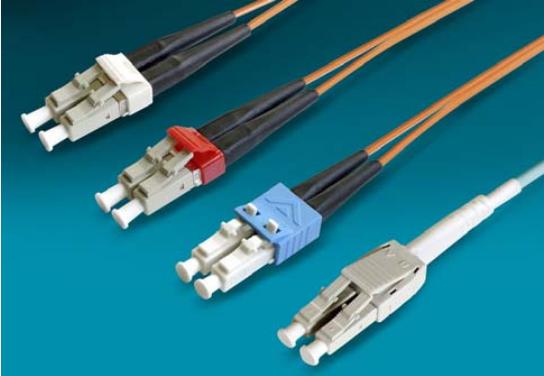 Unlike the common connectors, field installable connectors require no other tools to do the fiber termination. Only with the basic fiber preparation tools, a satisfactory installation can be achieved. It’s because of these simple procedures that training becomes easy. Therefore, there is no need of more labors. Field installable connectors also reduce out-of-pocket cost. On one hand, no other tools needed means less money needs to be spent. On the other hand, since the installation way becomes simpler, the extra material cost that may be caused by installers due to misoperation can be eliminated. 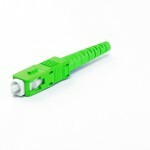 Field installation connectors are designed to enable fast and easy fiber termination. Its factory pre-terminated ferrule can help operators reduce installation errors effectively. And they also can save time and cost for users. FS.COM offers several kinds of field installation connectors with cheap price. Hope you can select the most suitable one for your project. This entry was posted in Fiber Optic Connectors and tagged Fiber optic connector, Field installable connector, fusion splice-on connector, mechanical connector on October 25, 2016 by Chloe Wang. Cleanliness of fiber optic connections is critical to the performance of optical communication networks. Contamination on a connector end face, even if only at the microscopic level, can create severe problems. 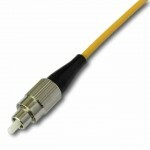 Traditional single mode fiber optic core diameters are approximately 9 microns. By comparison, a human hair is 50 microns or larger in diameter. Contamination that blocks the fiber core generates strong back reflections (Return Loss), and may effect attenuation (Insertion Loss). Loose contamination on the connector end face that may not block the core may move during de-mating, or may prevent physical glass-to-glass contact required for proper signal transmission. Rigid contamination trapped between connector end faces may permanently damage the fiber core(s). Dry contaminates are relatively simple to remove compared to oils and films which naturally occur with human contact, vapor condensation, and solvent evaporation. 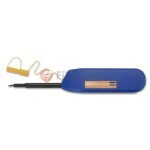 Fiberstore offers various kinds of fiber optic cleaning and inspection tools and kits that can service SC, ST, LC and MPO connectors etc. Here is a list of basic cleaning steps and recommendations for each connector type. After cleaning, always inspect the connector end face with an appropriate microscope to verify that it is free of dirt, smudges and/ or scratches. Dry Cleaning: Using reel-based cassette cleaner with medium pressure, wipe connector endface against dry cleaning cloth (single swipe per exposure) in one direction. For Angled Physical Contact (APC) polished connectors, ensure that entire endface surface mates with the cleaning cloth. Dry cleaning will generally remove airborne contamination and should be attempted first. Inspect connector endface for contamination after cleaning. 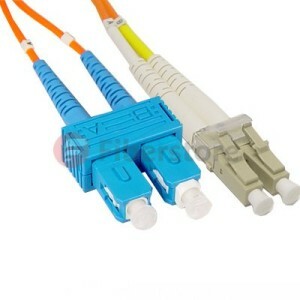 Another method is to use single fiber In-Bulkhead Cleaner (IBC, a Brand of fiber optic cleaner) that is especially designed for both Physical Contact (PC) and APC polished connectors. This device feeds a cleaning cloth across a head while the head rotates. Cleaning cloth is advanced to ensure it is clean. Install connector into a clean adapter and after inserting cleaner tip inside the adapter from the opposite end, press lever to initiate cleaning. Some single fiber IBC cleaners offer intuitive cleaning with audible push when engaged. Always inspect connector endface for contamination after cleaning. Wet Cleaning: Lightly moisten portion of a lint free wipe with fiber optic cleaning solution (or > 91% Isopropyl Alcohol) and by applying medium pressure, first wipe endface against wet area and then onto dry area to clean potential residue from the endface. For APC polished connectors, ensure entire endface surface mates with the cleaning wipes. Wet cleaning is more aggressive than dry cleaning, and will remove airborne contamination as well as light oil residue and films. Perform dry cleaning as described above after wet cleaning and inspect connector endface for contamination after cleaning. Caution: Always clean sides and tip of ferrule. Core alignment may be affected if ferrule is not thoroughly cleaned. Dry Cleaning: Insert appropriate size cleaning stick tip into the adapter until a contact is made with the connector on the opposite end. Cleaning sticks are available for both 1.25 mm ferrule connectors (LCs) and 2.5 mm ferrule connectors (SC and ST). Rotate the cleaning stick with medium pressure in one circular motion as it is pulled from the adapter. Inspect endface for any contamination after cleaning. Another method is to use IBC cleaners. Insert cleaner tip inside the adapter until a contact is made with the connector on opposite end and press lever to initiate cleaning. Wet Cleaning: Insert a lightly moistened appropriate size cleaning stick tip with fiber optic cleaning solution (or > 91% Isopropyl alcohol) into the adapter until a contact is made with the connector on opposite end. Rotate the cleaning stick with medium pressure in one circular motion as it is pulled from the adapter. Follow up with a dry cleaning stick and complete with dry cleaning method using IBC cleaners. Always inspect connector endface for contamination after cleaning. Caution: Discard cleaning sticks after each use. Do not turn the cleaning stick back and forth pressing against connector endface, this may cause scratches if a large contamination is present. Dry Cleaning: For both exposed and connector mated adapter, insert dry adapter cleaning stick (or fiber adapter sleeve brush) inside the adapter and pull out with twisting motion, cleaning inside surface of alignment sleeve. After cleaning adapter with connector installed on one end, inspect connector endface for contamination. Wet Cleaning: For both exposed and connector mated adapter, insert adapter cleaning stick (or fiber adapter sleeve brush) moistened with fiber optic cleaning solution (or > 91% Isopropyl Alcohol) inside the adapter and pull out with twisting motion, cleaning inside surface of alignment sleeves. Follow up with a dry swab. After cleaning adapter with connector installed on one end, inspect connector endface for contamination. Caution: Discard cleaning sticks after each use. Do not rotate the cleaning stick back and forth while pressed against connector endface; this may cause scratches if a large contamination is present. Dry Cleaning: Using reel-based cassette cleaner with medium pressure, wipe against dry cleaning cloth (single swipe per exposure) in one direction. There are special cleaners available, which can be used for the pinned and the unpinned (PC and APC polished) MPO/MTP connectors. For APC MPO/MTP connectors, ensure that entire endface surface mates with the cleaning cloth. Dry cleaning will generally remove airborne contamination and should be attempted first. Always inspect connector endface for contamination after cleaning. Another method is to use reel based MPO/MTP IBC cleaner especially designed for cleaning both the pinned and the unpinned (PC and APC polished) MPO/MTP connectors. Insert MPO/MTP connector into the cap at the tip into the cleaner, and rotate the cleaner wheel to clean the connector endface. Always inspect connector endface for contamination after cleaning. Wet Cleaning: For unpinned MPO/MTP connector, lightly moisten lint free wipe with fiber optic cleaning solution (or > 91% Isopropyl Alcohol) and by applying medium pressure, wipe endface of the MPO/MTP connector in a direction perpendicular to fiber array. Repeat process using dry lint-free wipe. For APC MPO/MTP connectors, ensure that entire endface surface mates with the cleaning cloth. Follow up with dry cleaning using MPO/MTP IBC cleaner as described above and always inspect connector endface for contamination after cleaning. 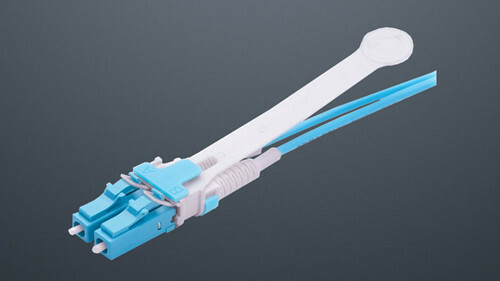 For wet cleaning of pinned MPO/MTP connector, fold the moistened wipe and using creased portion with medium pressure, wipe endface of the MPO/MTP connector in a direction perpendicular to fiber array. Repeat process using dry lint-free wipe. For APC MPO/MTP connectors, ensure that entire endface surface mates with the cleaning cloth. Follow up with dry cleaning using MPO/MTP IBC cleaner as described above and always inspect connector endface for contamination after cleaning. Another wet cleaning method for both pinned and unpinned MPO/MTP connector is to use lightly moistened 2.5 mm SC/ ST cleaning stick tip with fiber optic cleaning solution (or > 91% Isopropyl alcohol). With damp tip, clean the pins by holding the tip parallel to pins such that the tip end contacts ferrule. Applying medium pressure, wipe the cylindrical surface of the pins, the connector endface in direction perpendicular to fiber array and all the way around each pin. Repeat process using dry cleaning stick tip. Follow up with dry cleaning as described above. Always inspect connector endface for contamination after cleaning. Caution: To prevent scratching the end face, always clean the MPO/MTP connectors with a cleaning motion from top to bottom perpendicular to fiber array. Never clean the MPO/MTP connector by rubbing across it from side to side (parallel to fiber array). Discard cleaning sticks after each use. Wet Cleaning: Remove MPO/MTP connectors from adapters. Wipe inside surface with cleaning stick moistened with fiber optic cleaning solution (or > 91% Isopropyl Alcohol). Follow up with dry cleaning stick. After cleaning adapter with connector installed on one end, inspect connector endface for contamination. This entry was posted in Fiber Optic Connectors and tagged fiber optic adapters, fiber optic cleaning, fiber optic inspection, MPO connector on March 28, 2015 by Admin.